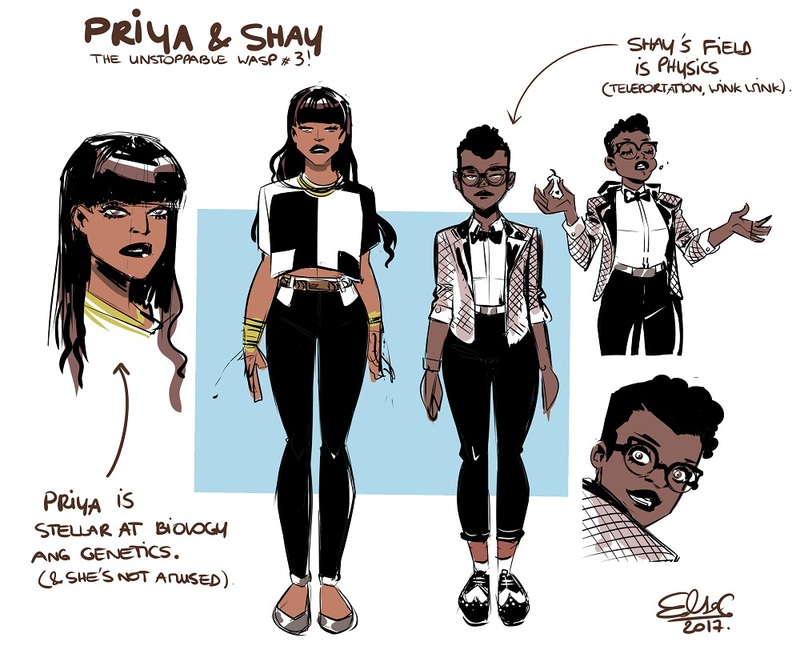 Home » .News » Vodka O’Clock 1702 Jeremy Whitley gives details on Marvel’s Unstoppable Wasp! Vodka O’Clock 1702 Jeremy Whitley gives details on Marvel’s Unstoppable Wasp! AMBER LOVE 16-JAN-2017 The first two FARRAH WETHERS MYSTERIES are available through sites like Amazon and Barnes & Noble. You can get Cardiac Arrest and Full Body Manslaughter right now. Both are available on Kindle and for a limited time, Full Body Manslaughter is free on Kindle Unlimited. Please go to patreon.com/amberunmasked to sponsor the show, the site, and my work. UNSTOPPABLE WASP #1 hit comic book shelves January 4, 2017. Written by Jeremy Whitley with art by Elsa Charretier, colors by Megan Wilson, and letters by Joe Caramagna – this first issue was met with resounding praise from individual fans to the top comic book press. Jeremy is here to talk about why it’s so special. This Wasp is Nadia, the daughter of Hank Pym, rather than Janet Van Dyne. 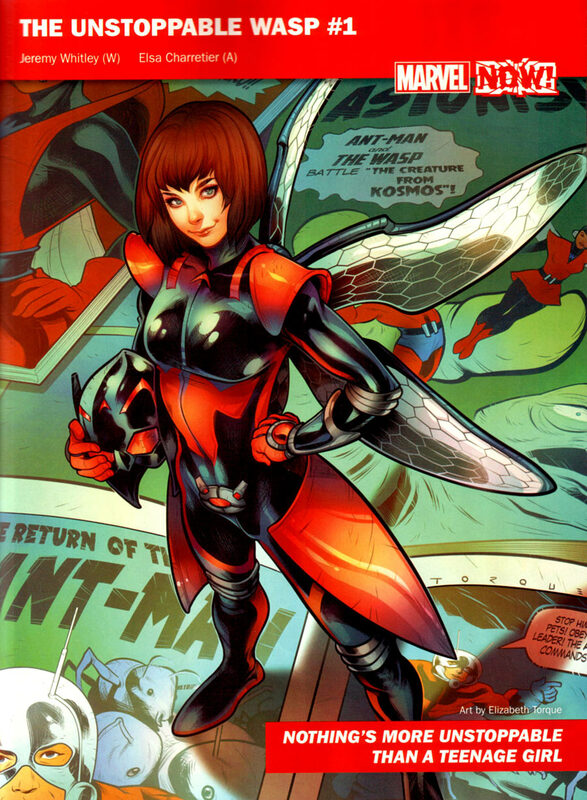 That Wasp was created in 1963 but this new Unstoppable Wasp was only created in 2016 by Mark Waid and Alan Davis. Nadia is a teenage girl who is also a brilliant scientist and engineer. 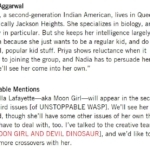 Though Janet Van Dyne is the other Wasp, they’ll likely come together again in Unstoppable Wasp as they did last year. Since both Nadia’s parents are dead, Janet will be able to fill a nurturing role. 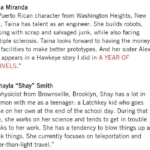 Even though Nadia was able to recreate the Pym particles, she also has other abilities that Hank didn’t have. She can make things in a distance shrink in size, for example, but it’s all done through her expertise in science and engineering. Unlike Natasha/Black Widow, Nadia grew up in the evil Red Room in Russia but has an entirely different way of coping. She’s enthusiastic, upbeat, and quite fearless for a teenage girl who could have come out of there traumatized. Jeremy shares the details of pitching to Marvel’s Tom Brevoort and working with Mark Waid in 2016. The cute little science facts from Nadia’s workshop were Elsa Charretier’s idea. Elsa’s work on Moon Girl & Devil Dinosaur made her their first choice for artist. 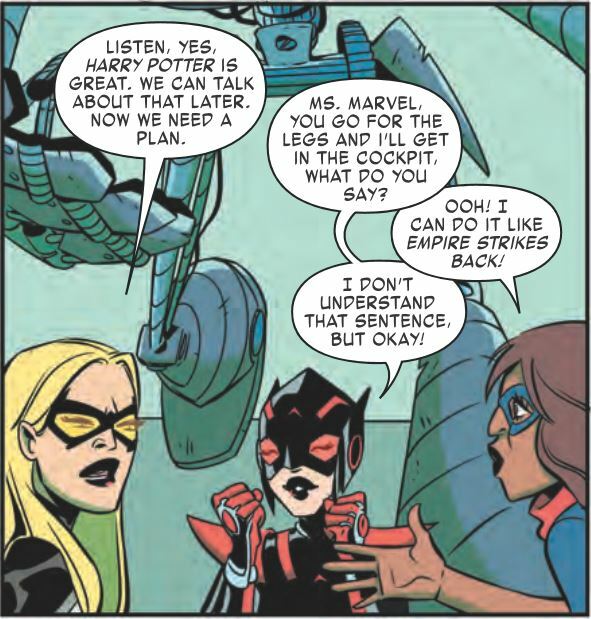 My favorite part was the interactions between Nadia, Ms. Marvel and Mockingbird with how there was a learning curve for both Nadia who was sheltered and Mockingbird who is “old” and doesn’t know what Ms. Marvel is talking about. Jeremy has plans to introduce new characters to join G.I.R.L. One of the parts of Unstoppable Wasp #1 that might subconsciously work into young readers’ minds is that Nadia is trying to go to the Immigration office in order to get valid citizenship papers. With her American father Hank dead, it seems hopeless. But that’s when the giant robot attacks and interferes with Nadia’s plans. At a higher comprehension level, readers will understand that the appointment at the Immigration office meant a great deal to Nadia, but saving lives took precedence. Jeremy had to convince some people that he could migrate from writing My Little Pony and fantasy genre like Princeless to the superhero genre. He said there’s no wall between them that should stop people from writing anything. He wrapped up with book recommendations and discussing his process of pitching to Marvel. The Vodka O’Clock theme song is “Between the Bookshelves” composed by Michael Genato, ASCAP (100%) used with license from Mike Genato Music, ASCAP (50%) and Freeplaynjj, ASCAP (50%). 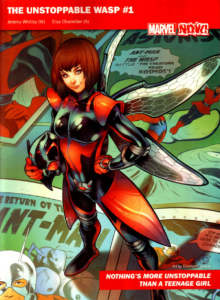 Comments Off on Vodka O’Clock 1702 Jeremy Whitley gives details on Marvel’s Unstoppable Wasp!